Standing Rock Sioux Tribal Council Chairman Dave Archambault said Wednesday that any Dakota Access oil pipeline route that stays off treaty lands would be acceptable. But the uproar and weeks of protest surrounding the pipeline's route goes beyond that one project, he said: "If, for the first time, this nation can listen and hear us, they'll understand that this is about climate change." Now that the U.S. Army Corps of Engineers has halted the pipeline's construction by saying it needs to study alternative routes, Archambault said it's time to consider our country's priorities when it comes to energy. "We all have to take a good look at ourselves and say, 'Are we dependent on fossil fuels?'" he said. "If we say yes, we're creating the demand for the Dakota Access pipeline and for future pipelines" that could threaten land and water. Archambault told MPR News host Tom Crann, that he wasn't interested in debating climate change — but he pointed to what he called overwhelming evidence of man-made climate change. Society as a whole, he said, has a decision to make. "If we don't change our behavior, it's not practical for us to oppose pipelines," he said. "We have to protect what's precious to us and the rest of the world will see us and, maybe, we can start all changing our behaviors and making products available that are not fossil-fuel driven." The Army Corps of Engineers' move to block pipeline construction came with the provision that it would further study the project's environmental impacts and consider an alternative route. But among protesters, who call themselves "water protectors," there's concern that President-elect Donald Trump's administration would reverse the Corps' decision. Trump supports completion of the pipeline and has owned stock in the company building it, Energy Transfer Partners. A Trump spokesperson said the president-elect sold his stock portfolio in June, but didn't specify which investments were included in that sale. For his part, Archambault said he welcomes a "meaningful conversation" with Trump to help him understand why there's resistance to the pipeline. 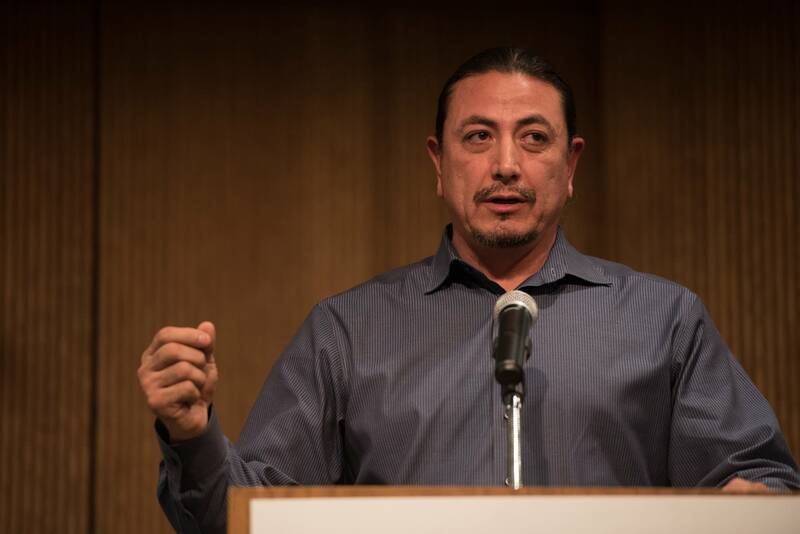 Archambault said it's crucial to continue to work on building relationships with the incoming administration and educate members on the indigenous peoples issues at stake in the pipeline protest and elsewhere. "When the federal government came, they inflicted so much harm on us," Archambault said. "We don't hold a grudge. We never forget, but we have to start forgiving." 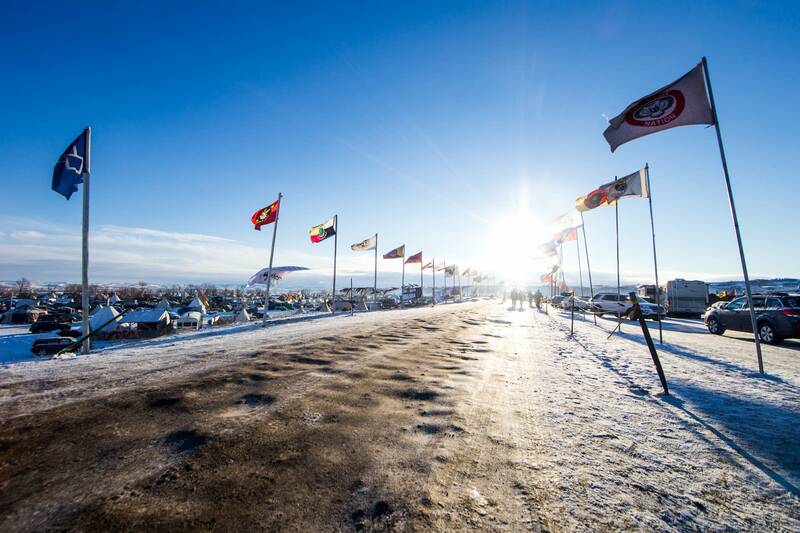 Archambault has called for protesters to clear out of the Standing Rock camp, though hundreds of people remain there, in part because of snowstorms that have blown through the area in the past week. At the camp Thursday, MPR News reporter Tim Nelson said those left at Standing Rock are battling wind chills of close to 30 degrees below zero. Archanbault said he understands the mistrust for the federal government that he hears among protesters and acknowledged concerns that some people still think the company is still going to drill. But he says the camp's purpose has been served and that it's time for protesters to leave. "For us to remain at the camp is only going to help the individuals who are for this pipeline," Archambault said. If Energy Transfer Partners breaks with the Corps' decision, Archambault said, it threatens the entire project's livelihood — including investors and the banks backing the project. "It is time that we enjoy this minute with our families," he said. "Enjoy the holidays if you celebrate them with your families."